Sustainability is the fastest-growing differentiator for consumer purchasing choice. 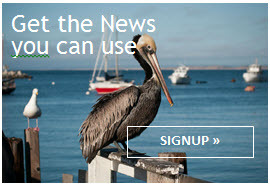 Vicality.com is a digital marketing platform promoting sustainability and local business in the Monterey Bay region — serving 1 million residents and 10 million annual visitors. Free basic listing: Does your business offer sustainable products, services? “Green” certified? Get listed for free! Get listed. Enhanced listing: Add your logo or image and lots of descriptive copy. Banner ads: Place a banner ad on a page where your customers will find you. Dedicated page: Feature your business on your own dedicated page! You can add descriptive copy, gallery images, video and we’ll include a “Why we love it” review. Weekly newsletter: Every week our Fresh News newsletter offers events, unique experiences, family adventure and highlights of the region. Dedicated newsletter: Business-to-business or to-consumers, we can segment for the best audience for your offer. Mobile: Nearly 60% of Vicality content is accessed by users with mobile phones or tablets. We’re mobile optimized. Social: We engage with Monterey Bay enthusiasts where they hang out the most—on Facebook, Twitter, Instagram, YouTube and NextDoor. Co-op campaigns: Make your advertising budget stretch even further by joining one of our cooperative marketing campaigns. Get found on local media, Google and retargeting channels. Deal Alert, coupons: Draw in new customers by participating in a Deal Alert email, social blast or digital coupons. Does your Non-Profit support community and sustainability? Vicality wants you! If you have an event, a fund-raiser, membership drive, or just need more awareness for your program, it can be promoted for free. For best results, best rates and great ideas contact your local sales representative!